Tempe, AZ – April 2, 2018 – Eastridge Workforce Solutions (“Eastridge”), one of the nation’s largest privately held staffing companies according to Staffing Industry Analysts, announced that it will be opening its second division in Arizona this month. The new division will provide the Phoenix region with specialized construction workforce solutions including traditional and project-based staffing solutions, direct hire placements and technology to automate timekeeping and workforce reporting. 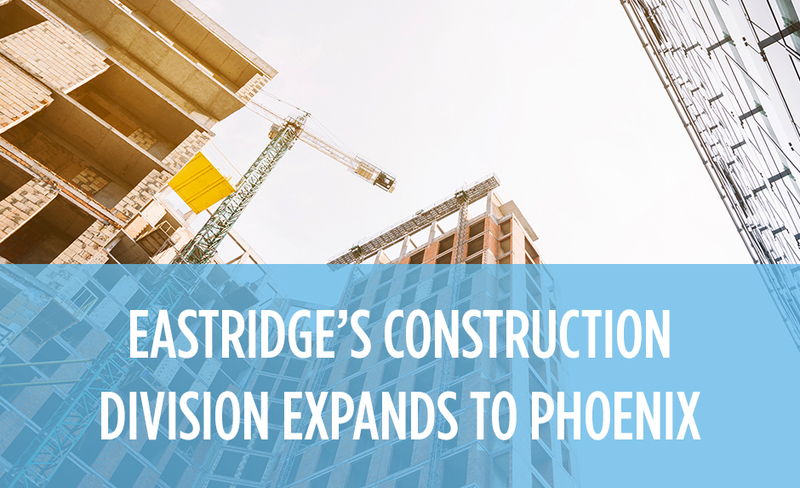 Eastridge’s continued expansion in Phoenix comes at a pivotal time as Arizona’s construction sector continues to grow. New figures show the number of people working in that sector in Arizona was 12,100 higher in January than a year earlier. That's an 8.8 percent increase, compared with a 2.7 percent boost in overall private sector employment in the state. The office is located at 4041 S. McClintock Drive, Suite 301, Tempe, AZ 85282. Learn more about Eastridge’s Construction Division. For over 45 years, Eastridge Workforce Solutions has made it easy to recruit, retain and manage a skilled workforce easier. Ranked in the top one percent of U.S. firms by Staffing Industry Analysts, Eastridge places 18,000 candidates and processes more than 250,000 paychecks each year. Eastridge delivers strategic workforce management programs, innovative technology platforms, and comprehensive staffing solutions tailored for your organization. For more information on Eastridge, visit eastridge.com.